Over 40,000 square feet of air conditioned space in two facilities. Industry Standard ESD Processing and Handling of all Systems and Parts. All technicians carry OEM Specific Certifications. We specialize in servers, storage, and parts for Dell, and HP. Enhance the efficiency and flexibility of your data center with the Intel Xeon E5-2690 2.9 GHz 8-Core processor. Designed to deliver a blend of high performance and energy efficiency, this processor works with motherboards that contain integrated Socket R slots. The Intel Integrated I/O reduces I/O latency considerably, which increases the speed with which you can perform tasks and streamline your operations. With eight cores and a max turbo frequency of 3.8 GHz, it supports various memory types, including DDR3 800/1066/1333/1600. Operating below temperature specification limits, it does not put a strain on your coolers and other components. This processor is effective in multiple situations, ranging from cloud computing to real-time financial transactions, bringing multiple benefits to various workplaces.High-performance processors are key to ensuring that your server architecture can stand up to the competition. 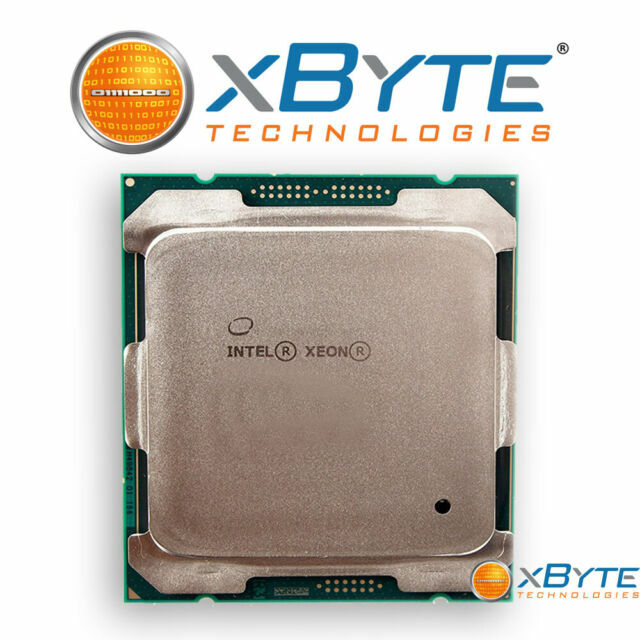 Each core in this 8-core Xeon CPU has a base clock speed of 2.9 GHz and is engineered with enough thermal headroom to overclock to a max turbo speed of 3.8 GHz. An 8 GT/s QPI system bus provides high-speed communication between the Xeon cores and the rest of the computer. Developed by Intel for the Xeon series, the QPI model reduces the distance data has to travel, making the most out of each GT/s the bus can offer. The CPU has a 20MB cache, decreasing latency by reducing calls to system memory. The cache is optimized to hold on to data if it's going to be used again in the near future using Intel's SmartCache design.The Intel Xeon E5-2690 supports up to 384GB of DDR3 RAM, and it has a memory bus speed of 51.2 GB/s over four channels. Intel Hyper-Threading technology doubles the number of threads per core and significantly increases the speed of communication between the socket and the rest of the machine's components. This processor is compatible with any FCLGA2011 socket type, which includes the Socket R regularly found on server motherboards. Socket R is compatible with two CPUs, which makes upgrading and expansion easy. Hardware optimizations make the Intel Xeon E5-2690 well-suited for a variety of server applications. A 64-bit instruction set allows your server to process large quantities of data quicker, and AVX extensions make it faster to repeat operations. Support for a big number library allows you to easily do large computations without incurring additional hardware costs. This comes in especially handy in big data applications where similar computations are required all the time. Intel Demand Based Switching ensures that each core only receives as much voltage as is necessary for its immediate demands, saving energy and protecting the core from heat damage. A TDP of 135W ensures that this unit will run efficiently without building up too much heat. Other energy-saving technologies, like idle state monitoring and Intel SpeedStep technology, can help you save more on energy costs, critical in a 24/7 business environment. Platform Protection technologies, such as Execute Disable Bit and Trusted Execution technology, ensures that your servers stay safe from malicious code and viruses. Still top level performance across the board. These are still very powerful and for under 200.00 it is a steal. Does not bottleneck the GTX 1080 Ti for gaming and still gets work done pretty swiftly if u have a pair of these and quad channel 1866 RAM on a good board. This is easy to install if you follow the instructions in the free manual. One of the best CPU for the T7600. Runs at about 3.2 GHZ under load. Worked as expected make sure to increase fan speed in Bios. Older generation, but great performance, esp. for the price. I upgraded my hpz620 from a E5-2640 to E5-2690. The performance is mega. I have 2 x cpu on cinebench R15 it scores 2140. on cpu passmark cpu in top 98th percentile.